The expansive, elegant ETR sofa table by Charles and Ray Eames comes with tops in a choice of black or white and a wire base with a chrome-plated or black powder-coated finish. Steel wire, chrome-plated or powder-coated. Plywood core, high-pressure laminate surface. 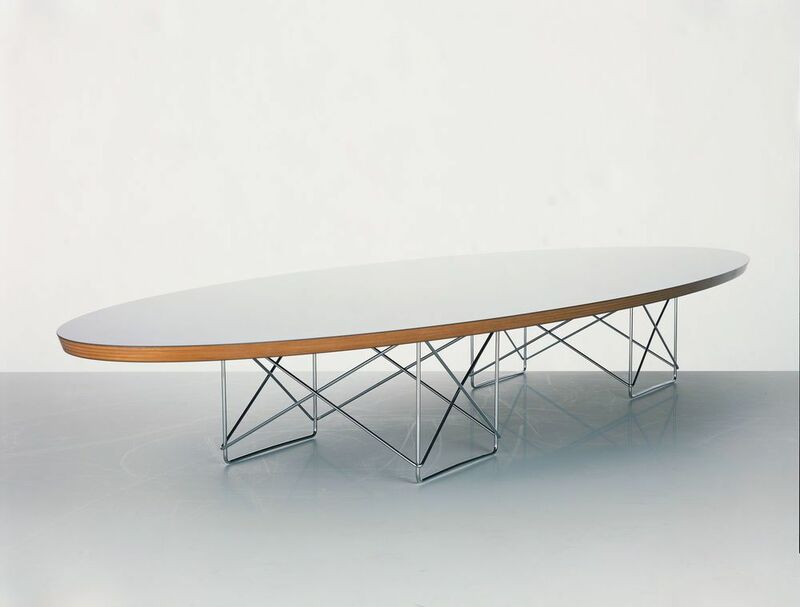 On account of its elliptical shape, it quickly acquired the nickname surfboard table.